Villas de Costa Mar - Rentals Info. 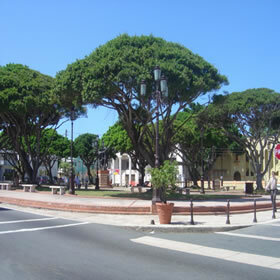 Dorado, Puerto Rico is called the cleanest city in Puerto Rico. 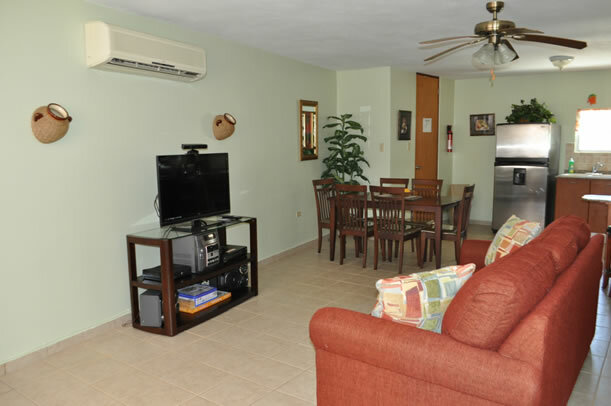 The complex is located in Costa de Oro area of Dorado in front of the Dorado beach. We fell in love with this area on our first visit. It is a safe area and has easy access to the beach right across the road. There is plenty to do in this area; check the attractions page for nearby activities. 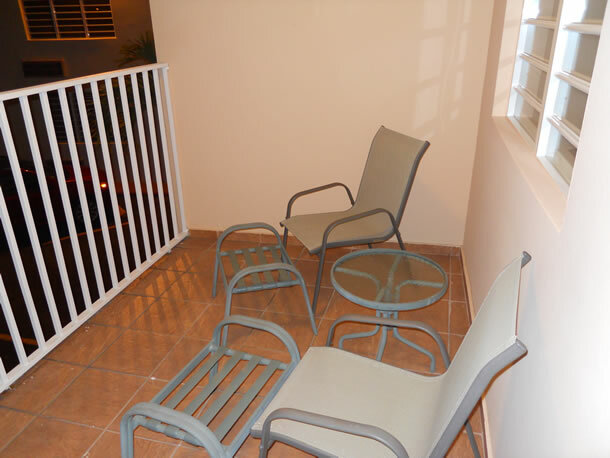 These rental units have been furnished and decorated for your comfort. There is no smoking in either unit; this is for the comfort and health of all who visit. Please review the rules and pricing schedule listed below and remember these units are booking fast so check the calendar for availability and make your reservations early. Send us an inquiry to provide your info. and dates desired and follow-up with a phone call for best prices. Come vacation in our little piece of paradise. Your family and you deserve it! One comfortable queen size bed in master bedroom suite. Two comfortable twin size beds in guest bedroom. Queen size sofa sleeper with air mattress in the living area. 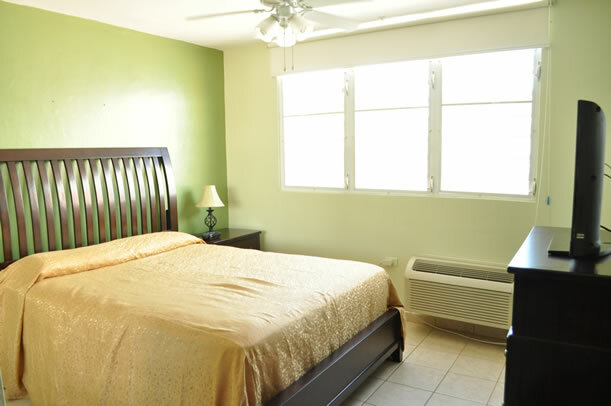 Please note these rentals are best suited for four adults, two young children or less due to sleeping arrangements. We have Corporate rental rates available for long and short terms; please contact us for information. Our *Week equals 6 nights 7 days; we have a 6 night minimum; start on any day of the week. 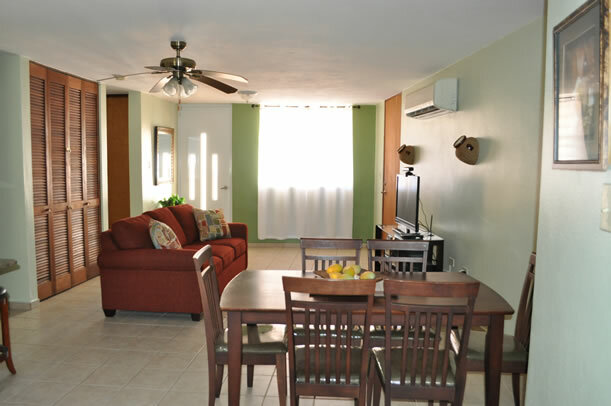 Vacation Rental dates are secured with $300 refundable reservation/security deposit. Until confirmed, all rates are subject to change without notice. Please post date $300 refundable reservation/security deposit paid by check to departure date. Check will be returned once we get the OK after departure date from our property manager. 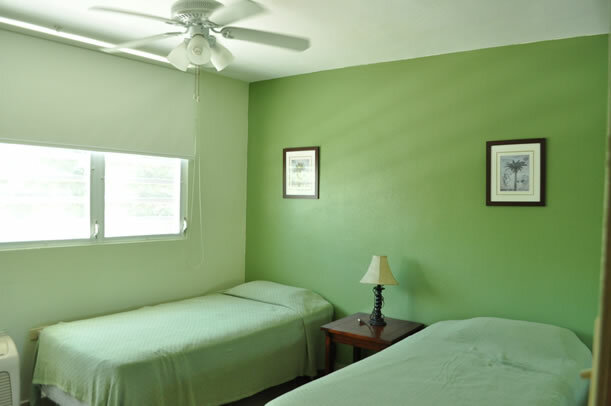 Rates are for four adult guests per unit, No charge for children 16 years and younger. $70 cleaning bill, please add to rental price. 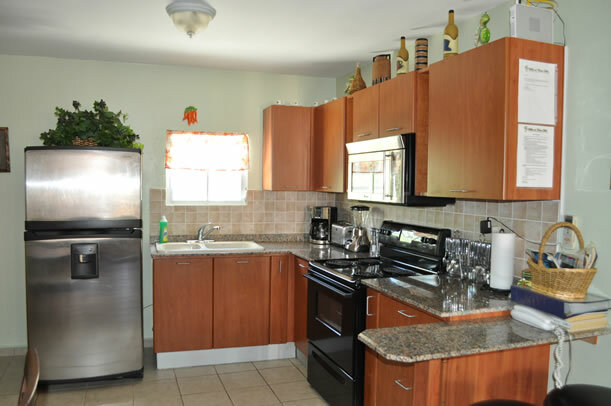 Maximum capacity per unit is four Adults two Children, six guest no exceptions. We accept all major credit cards through PayPal Payment Services, e-checks through Flipkey and Homwaway payment service. There is a 2.9% credit card fee when charging on major credit card. No fee for refundable reservation/security deposit (fee is reversed once we refund payment). All reservation inquiries must be qualified via phone call so please provide tel.#. Please include best time to call you if you have a preference in comments field. Great feature to be able to wash your clothes which means you can pack less and travel lighter! 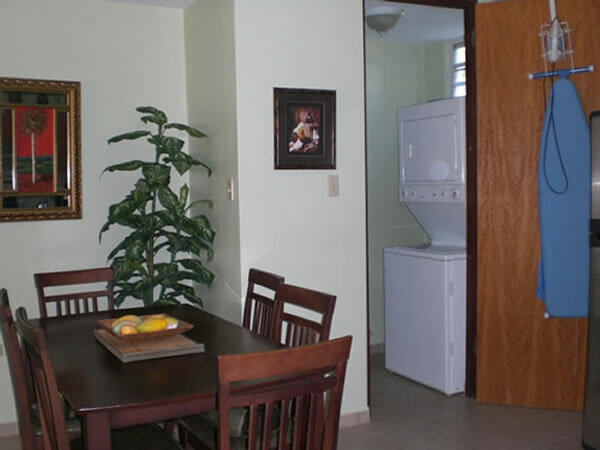 Our landry room has washer dryer combo, sink, Iron, Ironing Board. All you need to look fresh, clean and pressed when you walk out the door. Also great to have nice clean bath/bed linens when needed. We wash every other evening when on vacation back home. Dining table is our hub for planing, conversing, eating, refuling for our vacation adventures to come!. TV. The new queen sofa sleeper has an air mattress so no more complaints. Just fill it up to your comfort, great for larger families who need the addtional sleeping space. This is where mom & dad can share some time together away from the kids. With the on-suite bathroom it's a great place to relax, talk and spend personal time. TV, Blue-ray player with internet acces to Netflix, Hulu Plus and others will keep you entertained while relaxing after a long busy day. Alarm clock, reading light, block-out shade, celling fan, in-wall A/C, mirrored closets and media dresser round out this comfortable room. Two comfortable twin beds, reading light, inwall a/c, ceiling fan, full mirrored closets to organize kid's cloths and things. Balcony has chairs and table it's a great place to sit and have your morning coffee; enjoying the cool morning breezes coming off the ocean and hear the surf. I enjoy my quite time on the balcony with coffee a nice hot freshly baked piece of bread & butter. Read your ipad, tablet or phone via wi-fi connectivity. This is what a vacation is all about and why we decided to purchase here. The little things in life that make it great! Send us an email, process a reservation inquiry or just pick us the phone and give us a call for your best prices!